The White House felt pretty pleased with its efforts in the second year of open enrollment for the Affordable Care Act (ACA), better known as Obamacare. A public-relations campaign headed by President Barack Obama himself through social-media websites and alternative-media interviews drew attention to the close of the enrollment period. A BuzzFeed video of Obama playing with a “selfie stick” while urging Americans to sign up for health-care coverage drew 43 million views, and when the enrollment period ended, the White House bragged that the number of ensured through the exchanges exceeds 11.4 million. "The Affordable Care Act is working," the President said. That may be overstating the case – by a long shot. The White House blog post noted that the final day of open enrollment brought in the largest number of completed applications, but that may be because the Healthcare.gov website had more problems during the final week . In a throwback to the first open enrollment period in 2013-14, a “technical glitch” and high volume prevented large numbers of applicants from completing their submissions – so many, in fact, that the open enrollment period has been extended to February 22nd for those who started applications but have not yet finished them. The front-end problems are just the beginning, though. Despite the failures of the web portal in the initial year and subsequent promises to have the system fully functional by 2014, the back-end systems that coordinate with insurers are still not fully operational. Once again, despite having another year to complete that part of the system, subsidy payments will not be automated, so the payments will have to be estimated for another year. Consumers who get married, divorced, or have children between now and the next enrollment period will find making changes “a convoluted, multi-step process.” After hundreds of millions of dollars spent on the initial rollout and tens of millions spent to fix the system afterward, HHS and insurance companies will still rely on “clunky workarounds and manual spreadsheets,” Politico reported this week. And that 11.4 million enrollment figure? That’s largely overstated too, Avik Roy writes at Forbes. First, it’s cumulative; it represents the total number of those who completed applications and those previously enrolled. This year’s additions are also signups, not full enrollment, which commences when consumers pay the first monthly premium. Obamacare has an 84 percent retention rate for sign-ups to enrollment, similar to what insurers saw when enrolling customers on individual plans prior to passage of the ACA. That would lower the enrollment figure to 9.5 million or slightly under 3 million more enrollees in the system at the beginning of open enrollment. Also, that number does not mean that these Americans were all uninsured. Last year’s sign-up figure of 8 million – which decreased through the year – only included 3.8 million of previously uninsured Americans, according to research done by the Kaiser Foundation. Applying the same parameters and assumptions about retention, the total number of those gaining private insurance through Obamacare over the last two years only comes to 5.4 million, Roy concludes. That may sound like a bragging point for the Obama administration, as it improves on what had been a growing problem of uninsured Americans and access to health care. 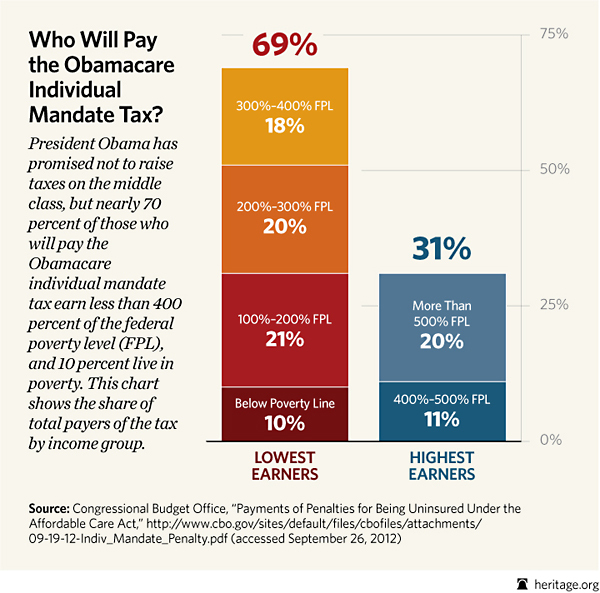 However, estimates used by Obama and Democrats in pushing this unpopular legislation through Congress in 2010 put the number of uninsured at anywhere from 30 million (where the CBO put it) to as high as 48 million, which includes undocumented immigrants who are ineligible for government-sponsored benefits. Not only does the actual second-year figure pale in comparison, the number added this year appears to have significantly dropped off from Year 1, which doesn’t bode well for this program. Voters have already asked why it was necessary to upend the entire health-insurance industry to go after a relatively small percentage of Americans who either chose to remain uninsured or could not arrange coverage for themselves. This year, the IRS will give them another reason to dislike Obamacare. The Washington Post reported this week that Democrats are now lobbying HHS to keep enrollment open for another two months. Why? They want people to get coverage before filing their taxes. “Up to 6 million Americans are expected to pay a penalty for not having coverage in 2014, according to recent Obama administration projections,” Jason Millman reported, and “a lot of people who will have to pay don't know it yet.” That’s more than the uninsured who gained coverage over the past two years, and will shock many who get stung for a fine that can amount to 2 percent of their taxable income. Those who did have coverage still may run into trouble with their taxes. Taxpayers who buy individual coverage now have to get a new form, the 1095-A, to certify that they have suitable health insurance that meets the Obamacare individual mandate. If a taxpayer does not have insurance, they have to file a Form 8965 to see if a fine can be avoided. For those who do have insurance, though, the 1095-A forms may not arrive for a while, especially for those who enrolled late in the period that just closed this weekend. If they don’t get the form, or if it’s not accurate (as USA Today warned two weeks ago), consumers will have to demand the form from their exchanges before they can file taxes at all. Even for those Obamacare enrollees who do get their forms and have paid their premiums, an unpleasant surprise may await. Remember the lack of the back-end subsidy payment system and the estimated payments? The IRS certainly does. In order to get their subsidies and reduced premium payments, consumers and insurers had to guess at taxable household income for 2014. Joint-filing households below 400 percent of poverty level (around $88,000) who used Obamacare and got subsidies could get hit with an additional $2500 in IRS clawbacks ($1250 for individuals) if annual taxable income outstripped those estimates. And thanks to the failure of HHS to have that back end ready in this cycle, the same thing will happen next year, too. Small wonder, then, that The Washington Post warned, “…a new round of political headaches could just be beginning for the administration,” and for Democrats over the next two months. The number of taxpayers caught in any or all of these traps could dwarf the enrollment figures and obliterate the low amount of support for Obamacare that still exists. It will take a lot of selfie-stick clowning to distract from that anger when it hits.